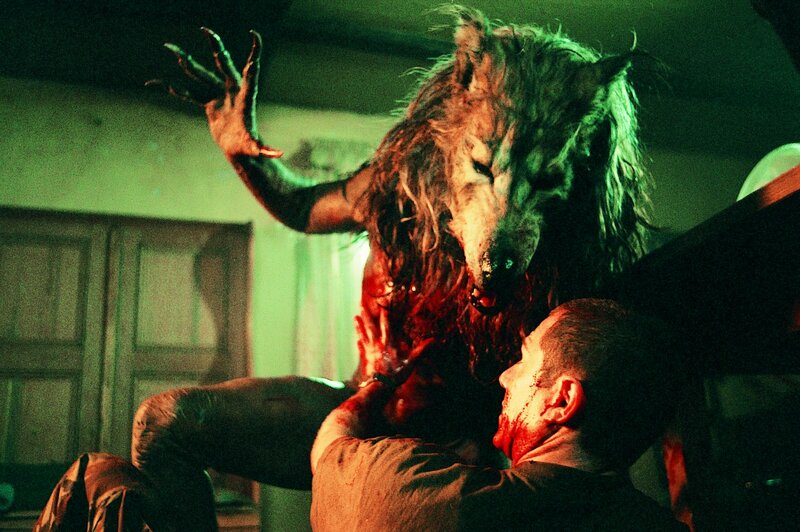 Foreign films, franchise films, indie masterpieces, genre hybrids – 2002 gave us everything it had, and now looking back, in hindsight it’s surprisingly easy to see how terrific 2002 really was for us horror nuts. Realistically, when a film like The Mothman Prophecies is the 10th ranked flick on a “Best of 2002” list, you know you’re about to get a reminder that inspires a few purchases! Check out our top 10 picks for 2002, and don’t forget to visit our database (this should hold you over) and catch up on all the brilliant films released since 1990. John Klein is involved in a car accident with his wife, but while he is unharmed, his wife mentions a moth shaped creature appearing. After her death, John begins to investigate the secrets behind this mentioned Mothman. It takes him to a small town of Point Pleasant, West Virginia, where he discovers a connection with the same problem. Here he meets Connie Mills, while he continues to unravel the mystery of what the Mothman really is. When May was a child, she was a lonely girl with a lazy eye and without any friends except a weird and ugly doll kept in a glass case given by her bizarre mother on her birthday. May becomes a lonely, weird young woman, working in an animal hospital and assisting the veterinarian in surgeries and sewing operated animals most of the time. Her lesbian colleague Polly has a sort of attraction for her. When the shy May meets the mechanic Adam Stubbs, she loves his hands and has a crush on him. They date, but the weirdness and bizarre behavior of May pushes Adam away from her. Alone, May has a brief affair with Polly, but she feels rejected again when her colleague meets Ambrosia. When her doll is accidentally broken, the deranged May decides to build a friend for her, using the best parts her acquaintances can offer. A British Squad is sent on a training mission in the Highlands of Scotland against Special Operations squad. Ignoring the childish “campfire” stories heard about the area, they continue with their mission and come across the bloody remains of the Special Ops Squad, and a fierce howling is pitching the night sky… With two mortally wounded men, they make an escape, running into a zoologist by the name of Megan – who knows exactly what hunts them. What began as what they thought was a training mission turns into a battle for their lives against the most unlikely enemies they would have expected – werewolves. 3 Years after retiring from the FBI because of a near-fatal encounter with Hannibal Lecter, who was helping him catch the “Chesapeake Ripper”, only to reveal it was Hannibal himself, Will Graham is asked by his ex-partner Jack Crawford to come solve one last case – 2 slaughtered families every full moon. They have 3 weeks until the next full moon to find the madman, but an innocent blind woman has found him first… Will Graham must risk his family’s security and his own safety to track down this one last murderer – the epitome of all evil – The Red Dragon. Animal activists invade a laboratory with the intention of releasing chimpanzees that are undergoing experimentation, infected by a virus -a virus that causes rage. The naive activists ignore the pleas of a scientist to keep the cages locked, with disastrous results. Twenty-eight days later, our protagonist, Jim, wakes up from a coma, alone, in an abandoned hospital. He begins to seek out anyone else to find London is deserted, apparently without a living soul. After finding a church, which had become inhabited by zombie like humans intent on his demise, he runs for his life. Selena and Mark rescue him from the horde and bring him up to date on the mass carnage and horror as all of London tore itself apart. This is a tale of survival and ultimately, heroics, with nice subtext about mankind’s savage nature.